This postcard was posted to me by my son. He was traveling in Daejeon, South Korea in August. Daejeon is located in the middle of South Korea. It's the fifth largest city of South Korea. 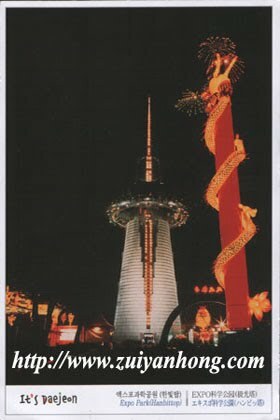 The building in the postcard is the Hanbit Tower in Daejeon Expo Park. 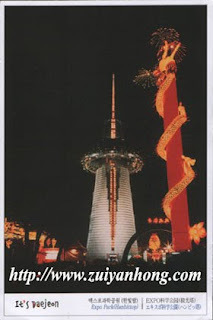 According to my son, Hanbit Tower was constructed in 1993 during the Expo 93 which was held in Daejeon. Currently, the Expo Park had been turned into a must visit tourist site in Daejeon. If you are traveling in Daejeon, remember to drop in the Expo Park to watch a variety of sophisticated buildings of South Korea. Hello, I loved your posts.